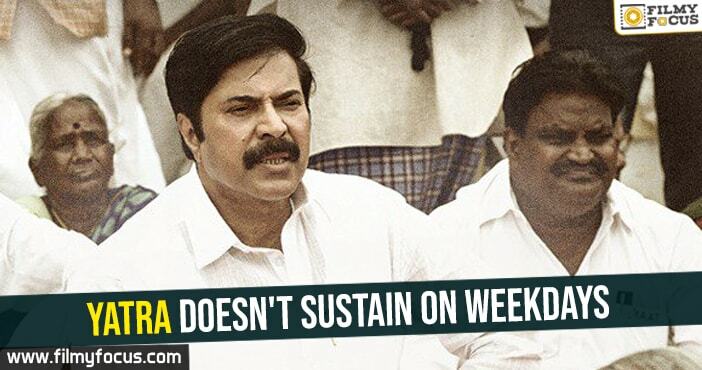 Yatra movie after a decent weekend fell flat on Monday and Tuesday also did not show much improvement for the film. The Morning and Noon shows have been very dull for the film. 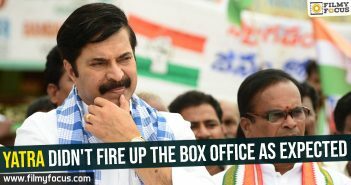 Even though the publicity for the movie is good, the word of mouth is also good but the release timing and political theme is not helping the movie to draw in more crowds to the theatre. As films like Lovers Day and Dev are going to release on 14th February, the trade experts are suggesting the movie could fall further even during the weekend. Unless the publicity for the film increases during the second weekend. 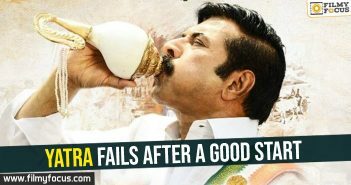 Mahi V Raghav, the director, and other Telugu actors in the film, Yatra are trying to keep the film alive with Interviews but many think the movie might not survive and end up losing money.